Discovery Trails is part of a network of independent trail creators that covers the whole of the UK except for the far north of Scotland. 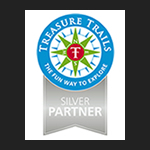 As licensed partners of Treasure Trails Ltd. we have over 1,200 Trails for you to enjoy. 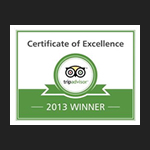 A Treasure Trail suits all ages and interests as you follow the directions, solve the clues and see the sights. There are Treasure Hunt, Murder Mystery and Spy themed trails for you to choose from, but all have some things in common: you will have fun, learn something new and often surprising and you will end up wanting to tackle another one, so contact us now! 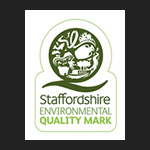 Discovery Trails writes for Staffordshire, the West Midlands and parts of Shropshire. Cities, towns and villages all have their fascinating facts and quirky clues. When you solve them all on a Trail you can enter your answer online into a £1,000 prize draw, while there is a text helpline if you are really stuck on a tricky clue. We also create unique Trails for your special occasion: hen and stag parties, big birthdays, retirements, wedding groups, we’ve done them all. In addition, attractions and locations ranging from farms to stately homes, game fairs to Irish ferries and hotels to cathedrals have had special bespoke Trails created for them. The only limit is your imagination – you can see why we say we open up a world of possibilities.